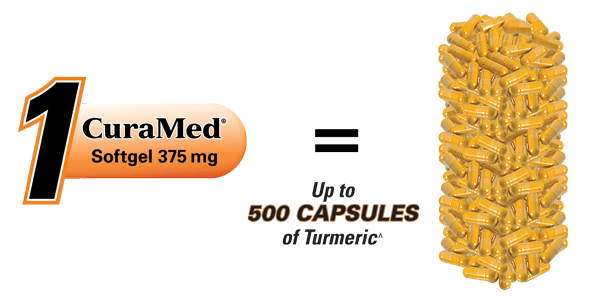 So not only does CuraMed contain more curcumin in a single softgel than any turmeric product and almost every other enhanced absorption curcumin, it is significantly better absorbed than plain curcumin and its health benefits have been proven in 32 published studies. CuraMed is an enhanced absorption curcumin for those looking for a specific, high dose curcumin product. Curamin provides curcumin along with boswellia, DL–phenylalanine (DLPA), and nattokinase as a combination for occasional muscle pain due to exercise or overuse. * It is perfectly fine to use them together, according to your individual preferences.